Waiting on Wednesday is a weekly meme hosted by Jill from Breaking the Spine that spotlights upcoming releases we are eagerly awaiting! Here is our pick for this week. Look at that cover. Isn't it breathtaking? Now read the blurb. Steampunk and werewolves? That's all I needed to know this was a WOW pick. In a world of science, magic is an abomination. Magic is an abomination. It spread from the Rift, a great chasm hundreds of miles long that nearly split the southern continent in two. The Rift was a portal, a gateway between their world of science and the mythological world of magic. On the northern continent of Ocker, King Godwin declared that no magical monstrosity would be allowed within their borders. The Royal Inquisitors were formed to investigate reports of mystical occurrences and, should they be found, to destroy them. Inquisitor Simon Whitlock knows his responsibilities all too well. Along with the apothecary, Luthor Strong, they’ve spent two years inquiring into such reports of magical abominations, though they’ve discovered far more charlatans than true magical creatures. When assigned to investigate Haversham and its reports of werewolves, Simon remains unconvinced that the rumors are true. What he discovers in the frozen little hamlet is that the werewolves are far more real than he believed; yet they’re hardly the most dangerous monster in the city. Awesome pick. I hadn't heard of this one before. The cover is stunning. Plus the book sounds really good. Hadn't heard of this before but it sounds interesting. The cover is interesting, want to know who the girl is since not mentioned in the blurb. I've never heard of this one before! 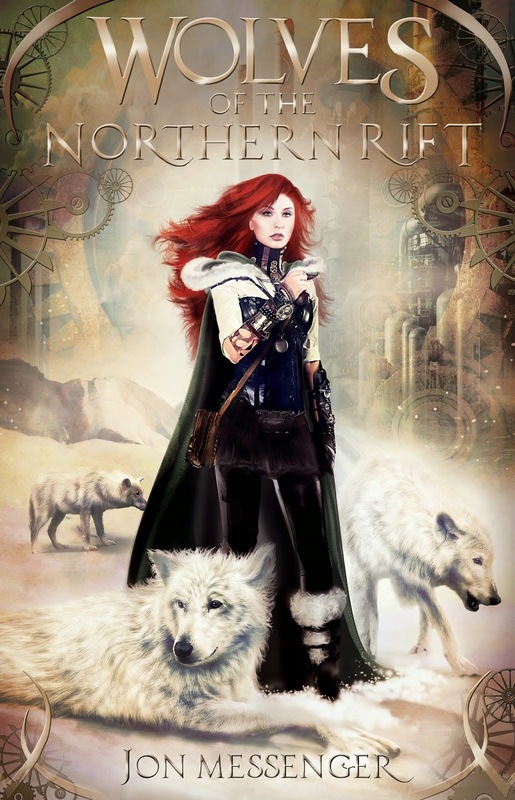 I'm not normally a werewolf person, but as you say - Steampunk + werewolves?! Definitely worth keeping an eye on! Thanks for pointing it out to me.